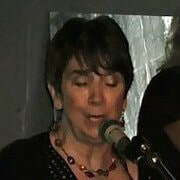 Linda Mitchell performs her blues, jazz etc. in many configurations. She performs solo with her guitar; in a duo, THE LIVE WIRES, with her friend and fab lead guitar player, Ray Ring; and in a trio or quartet with some of the great players in the region. Whether you are a club owner, a talent buyer for a venue, or a happily engaged couple looking for music for your celebration, Linda can bring her upbeat music and engage the crowd.